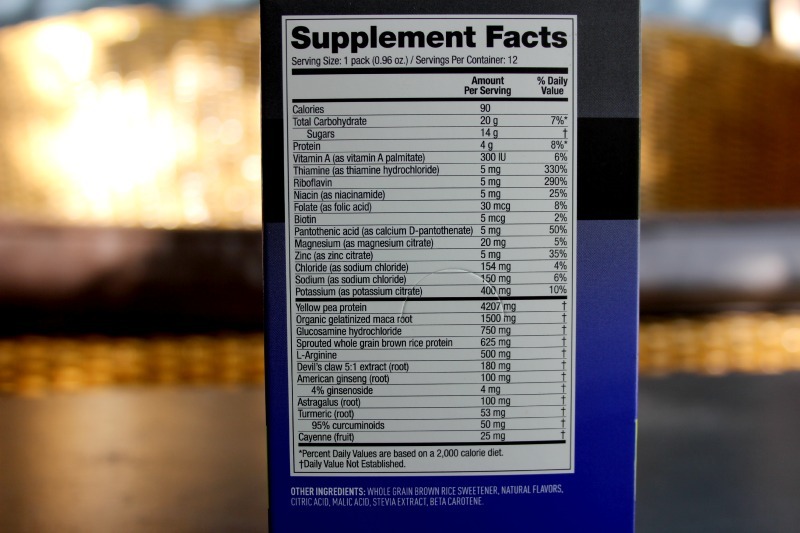 , I really needed something to give me energy after my workouts, Especially because some days I work out in the mornings and I feel so tired and sleepy afterwards. I know how some people say that working out in the morning gives you energy throughout the day.. somehow, thats NOT my case. 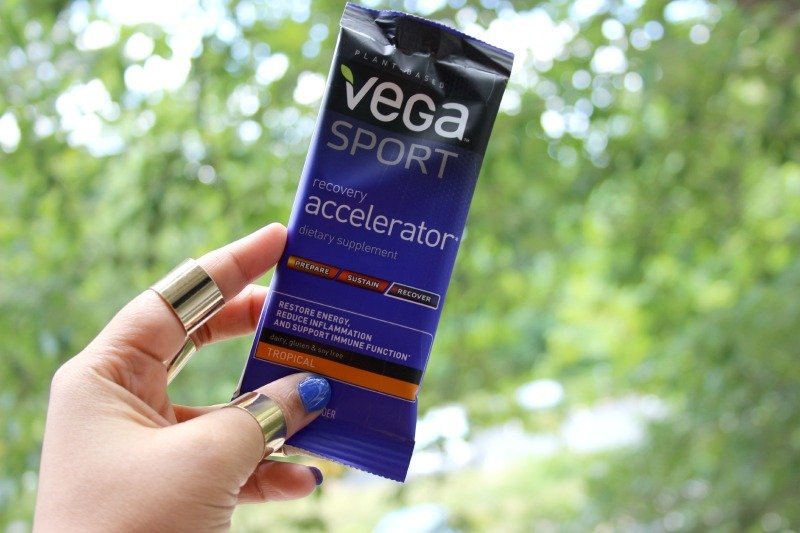 While searching for a product that would help me with this, I was lucky enough to receive Vega Sport/ Recovery Accelerator for review ( as a Sweat Pink Ambassador and part of the #fuelyourbetter campaign ). It was heaven sent. 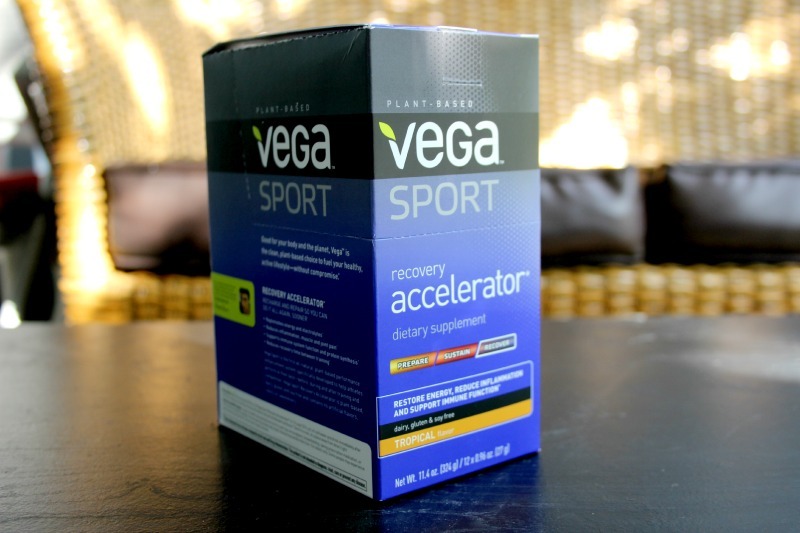 Days before I tweeted to see if some of you knew anything that could help me and then I received this Vega Sport/ Recovery Accelerator, talk about perfect timing! 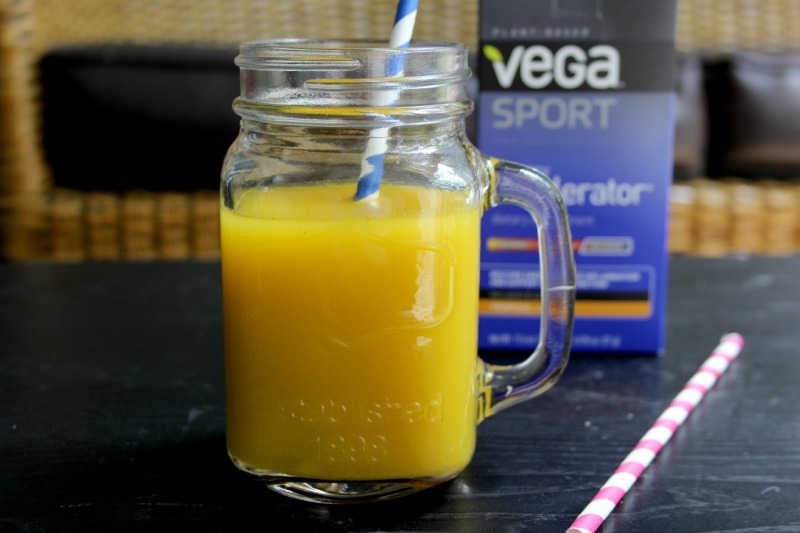 I tried Vega Sport/ Recovery Accelerator after my workout and it was great!! I had all the energy I needed for my day and even to keep on working out if I wanted! 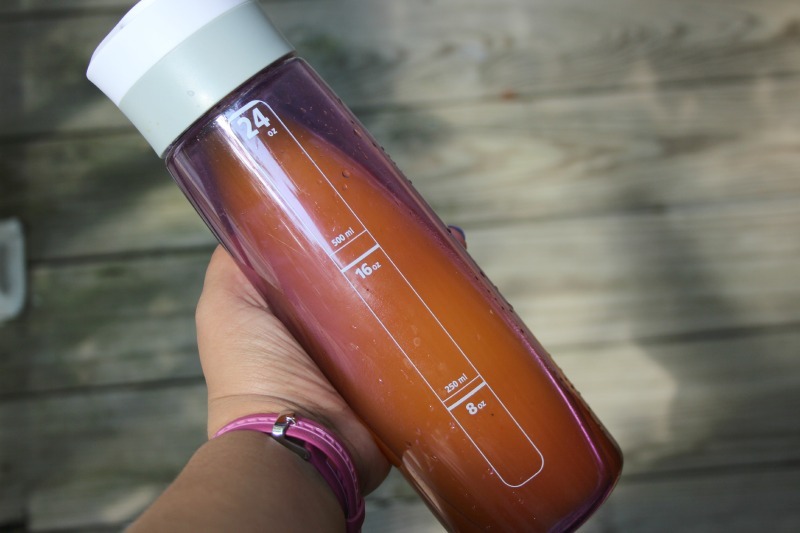 I received the Tropical flavor and even though I have to say its really not my favorite and it could be a little grainy but I feel that if you really stir it well,its not that bad. You have to mix it in 12 oz of cold water and drink it immediately. Vega Sport Recovery Accelerator is plant based, reduces inflammation , muscle and joint pain, support inmune system and reduces recovery time between training. Don’t forget to click on “join this site ” for more updates!! / No olvides hacer click en “unirse a este sitio” para mas actualizaciones!